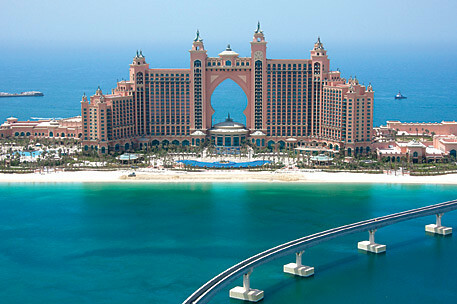 The Atlantis Hotel is a luxury resort located in the heart of The Palm Jumeirah, the palm-shaped island, and like many hotels is an attraction in itself, with an architectural design that mimics the Atlantis hotel Paradse Island in the Bahamas. This luxury hotel has 1539 rooms and comprises two towers joined by a pink color bridge. It also has made other areas of entertainment that make it appealing to anyone who travels to Dubai for business, tourism. Among them has a 42-acre water park called Aquaventure, with pools extensive fresh and salt water, a marine habitat situated not far from her long, lovely beach, luxury boutiques, a variety of restaurants, a nightclub, spa and Fitness Club, and 60,000 square feet of meeting and function space. 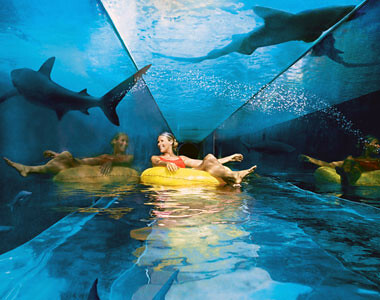 A temple “Ziggurat” with eight waterslides, including a slide through an acrylic tunnel in a pool of sharks. 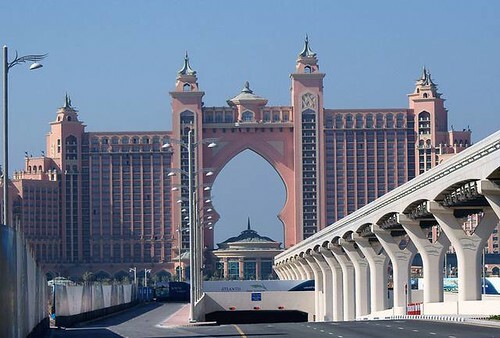 It has two monorail stations connecting the resort with the entire main section of the Palm Jumeirah. 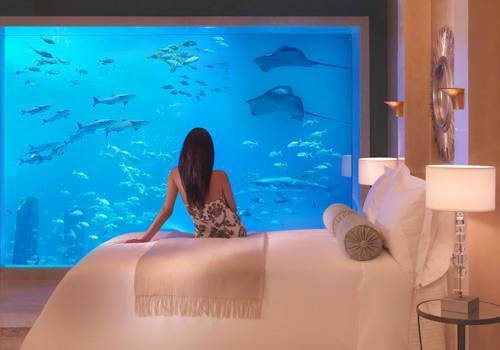 One thing that makes staring at the Atlantis is the Bridge Suite. The most expensive room in the world, with 10 connecting rooms inside, it costs a whopping $ 25,000 a day. The luxuries are endless in this hotel, from the decor of the suite, with gold from their materials, even room service or services of Atlantis. The Suite includes its own butler, bar lounge and 12 foot ceilings. 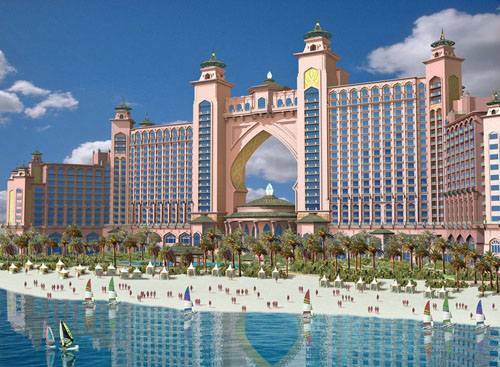 The Atlantis in Dubai is definitely a spectacular hotel.